There isn’t a better value competitive pro buggy on the market! This Pro buggy is very fast with a unique, proven, cost effective drive line package. It has just had a full ground up rebuild including a bare metal 2 pack respray, rebuilt diff and trans. LS1 Chev, Lunati Forged pistons, Lunati pro billet con rods, Lunati Crankshaft, Competition roller camshaft, Crane valve springs and retainers, Crane aluminium roller rocker arms, ARP mains & head studs, Rollmaster timing chain and sprocket set, powerbond 25% underdrive balancer, Link ECU, Bosch motor sport injectors, Ported and flowed heads. 4 into 1 Headers 2" primaries into 4" Secondaries. Shortened Powerglide auto trans and torque converter built by Bob Grant Automatics Brisbane. Ford 9" independent diff, custom built by Craft Differentials Sydney. 3" King double bypass on rear with 2.5 King Coil carriers. 2.5 King's bypass on front with King Coil carriers. Shocks tuned and serviced by Brett King and Brad Zacka King shocks Australia. Includes a Tandem trailer and spares. $65,000. Price reduced for quick sale. 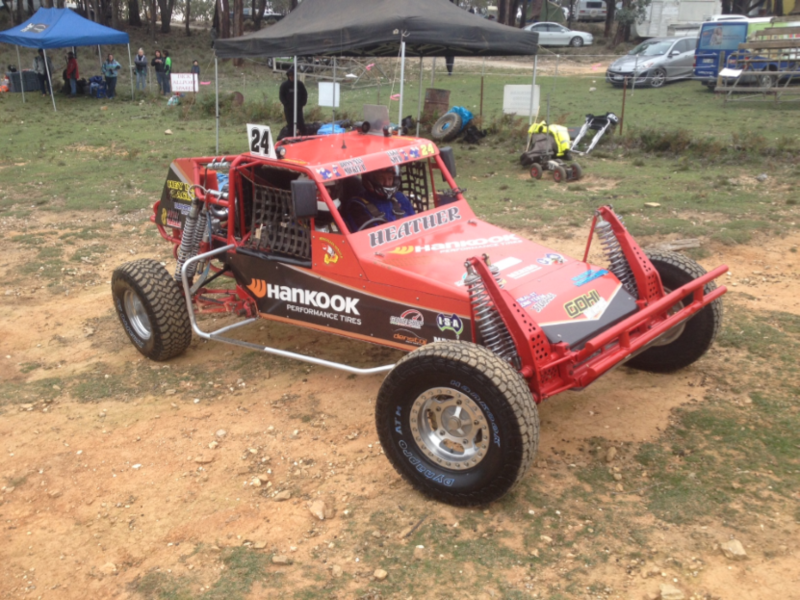 If you would like to place a ad in our classifieds sections to buy/swap/sell your off-road racing parts or vehicles, please email info@hvorra.com.au with the information and we will post it for you.